You probably didn’t think it was possible to be as obsessed with another president as your are with current POUTS Barack Obama, but after the 2016 Grammy’s Alexander Hamilton may be vying with Barry for your heart. 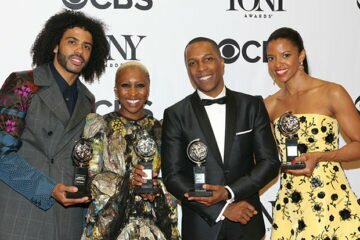 The cast of the new Grammy award winning Broadway play Hamilton took to the stage and gave the audience absolute life when they performed the play’s opening number. The show’s already been one of the most coveted Broadway tickets, grossing nearly $43 million as of early January, but with the Grammy’s performance that really showed the cast to the world it will become nearly impossible to grab a seat. READ: Lupita Will Twirl in New Off-Broadway Play! What makes Hamilton so amazing is the way it blends hip-hop, R&B, jazz, blues, rap, and classic show tunes in the most unlikely way to tell the story of founding father Alexander Hamilton. It was inspired by Ron Chernow’s 2004 biography of Hamilton and is directed by Thomas Kail. One of the most unique parts of Hamilton is all the color and no not the costumes! 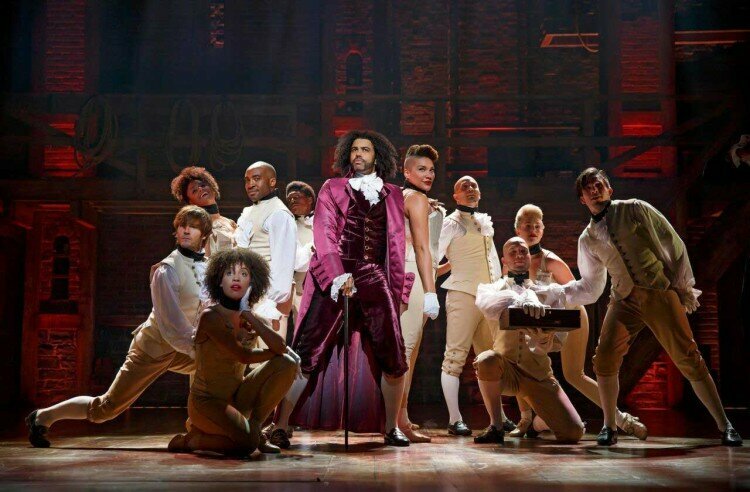 The play boasts an impressively melanated cast, something that’s not to common on Broadway and even less expected in a production about the founding fathers. Hamilton is everything you ask for in a play and since people are seeing that, getting a ticket is going to be a bit of a challenge. Hamilton’s website already lets you know to sign up for the e-mail list because tickets are scarce in these streets! Standard tickets prices start at $139 and premium start at $549 both of which are sold out on Hamilton’s website. You’re only option directly from them is through the lottery, which is a $10 ticket that you can win at random. If you’re willing to wait it out and hope fate is on your side then definitely opt for the lottery. If not you can try Ticketmaster and other sites, but expect tickets to run you at least $350. If you’re really dying to get your hands on some tickets you can always do like my mom and I used to and stand in line at the box office to catch the cancellation tickets at the last minute. Either way, you need Hamilton in your life, and here’s the clip of their Grammy’s performance as a reminder. 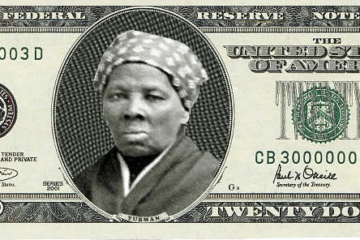 Harriet Tubman Will be the New Face of the $20 Bill!